Context-aware and activity-aware computing has been proposed as a way to adapt the computer to the user’s ongoing activity. However, deductively moving from physical context - like location - to establishing human activity has proved difficult. This paper proposes a novel approach to activity-aware computing. Instead of inferring activities, this approach enables the user to explicitly model their activity, and then use sensor-based events to create, manage, and use these computational activities adjusted to a specific context. This approach was crafted through a user-centered design process in collaboration with a hospital department. We propose three strategies for activity-awareness: context-based activity matching, context-based activity creation, and context-based activity adaptation. We present the implementation of these strategies and present an experimental evaluation of them. 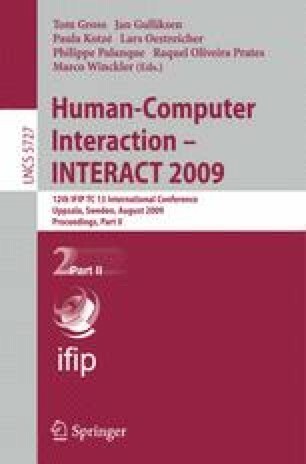 The experiments demonstrate that rather than considering context as information, context can be a relational property that links ’real-world activities’ with their ’computational activities’.